If you’re looking for somewhere to spend your Thursday night (or Friday morning?) 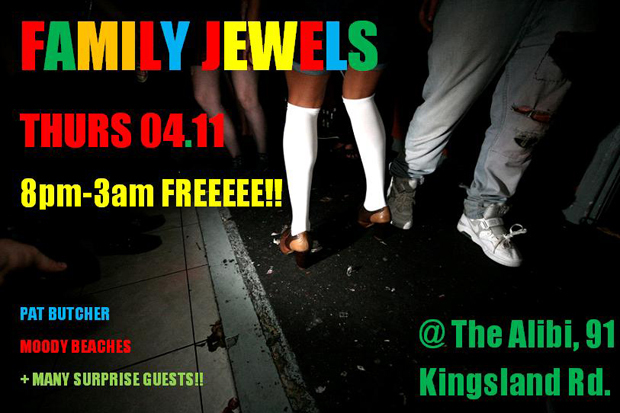 you could do a lot worse than Family Jewels, which takes over The Alibi in Dalston from 8pm. DJs on the night include Shane Connolly, KusiKubi, Pat Butcher and Moody Beaches, with promises of even more. Expect dancehall, everything else, and more dancehall. It’s free too, which is always a bonus. See you there.